First of thanks for your appreciation on my last post I write after a long time. After a successful completion of state of the art world class community and delivery of its previous projects. Bahria has become one of the favorite brands of Pakistan. 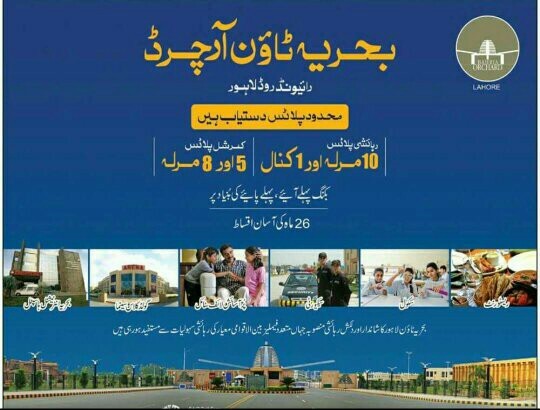 As also Bahria is launching another project after a long time in Lahore. Investors and customers were waiting for this kind of opportunity for a long long time. Phase 4 is selling like a hot cake in the market. Bahria orchard is becoming the future of investment in Pakistan at the moment. Location of Phase 4, which has direct approach from Raiwind road and only 4 KM away from Ada plot ring road interchange. This project is already creating a buzz in the market. 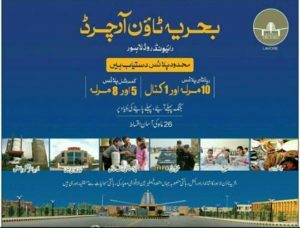 Also bahria town have already purchased 35000 kanal of land which is boosting the confidence of customers. Also the map will be expected very soon. Hopefully in next week map will be out with balloting. what is probability to increase prices and how much? So far the situation is same,but one thing is clear,grand mosque will be safe. Any update on LRR in Bahria Town. Some peoples are saying, there is little bit change in Alignment due to Grand Mosque. (Now at Clock Tower). Is this true? Further when this patch of LRR start? Dear friend ,the situation is not as bad as you are expecting.Hope for the best,and wait. My plot in Janipar Block just 120 ft (4-Plots) away from Ring Road. Once again thanx for your prompt and early reply Allah bless you for suppoting people like me who has very limited rough knowledge of their hard earned money in Property Investment & dealers take advantage for people like us. I dont blame anyone here but rather every move in this concern is adding experience to be vigilant for future. You have a good eye on its development as you said that it is in full swing in Orchard 4 give me hope to carry on rather than to sell on loss but hopefully I will max stick to it for 6 months referring to my budget. hopefully by than bharia will Ballot & allot plot nos. I must also ask a question for your past experience of Orchard ballot previously? In shaa Allah. & Bharia will support its limited nos of white collar Invester like me. Mian sb, do n’t worry 10M is a good option its price is very reasonable and has potential to increase.Do n’t rely on seasonal dealers,stick to your investment at least 6 to 12 months for better gain.Development is in full swing,and chances of appreciation are vivid.Best of luck. Dear Awan sb. Thanx for your reply. I am confused after booking 1o marla in Orchard 4. Rebate is going down & down & most of the dealers convince me to sell as there is no such gains in near future. But from your opinion it seems like in comming few months there will be a good gain on this plan. 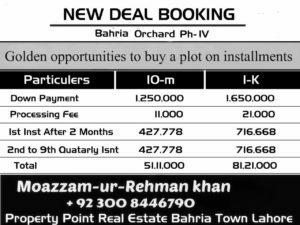 Lets hope for the best that bahria management give good eye on this project named bahria Orchard 4 specially 10 marla to get it successfull like orchard 12 & 3. Kindly throw aome light on 10 marla Orchard 4 future as well. Dear Mian sb, at present the best investment in Bahria Orchard is phase 2.C ,D and E blocks as possession has been announced and prices are 10 to 15 lac minus from actual prices.It is sure appreciation within a few months before Ring road completion(14 August 2017).Phase 4. is also a good investment especially 1 kanal plots,10m plots need 6 months more to be positive .Overall, Bahria Orchard as whole is a good to invest and it is time to do so.Bahria Orchard is going to be a bigger business hub than Bahria canal road. Hope you are fine. I want to ask you for low budget short investment in Bahria. Do you think Orchard 4 10 marla booking is good option for short term as there is allready own on 1 kanal booking. Dear ALi, if you are looking self-accommodation or rent then this villa is good option because in this price you cannot find an apartment in such a good location. However, from investment point of view, 8 marla plot in H & J blocks is better option. These are on ground and possession plots and prices reduced from 55 lacs to around 35-40 lacs due to tax regime. Price of villa will also increase, but these plots have more potential to grow. It is better to invest in plots 8m ,5m, c and d blocks for handsome gain as possession has been announced recently. Awan Saab, is it good to invest in H or J blocks of Orchard? Hi, I am new to real estate world. I have recently bought Awami Villa apartment on ground floor. However I am told that buying an apartment for investment purpose is not a good idea. I have taken the possession and want to sell it so that I can invest in Plots at Bahria. Can you please guide me if I should hold this till July or what is the right time to sell it. Dear Ali, at what price have you bought this? First of all, availability is in huge amount. If you are willing to trade then its not a very bad option. Buy now as rate is low and when rates improve sell it. Secondly, If you are interested for long term investment then its also very good. Price is reasonable, land is already been purchased, development already started. But the conclusion is get in, be a part of trading and for long term holding buy after balloting as per you choice. If you want to test you luck you can buy and hold it for year or 2. Rates are eventually going to increase. 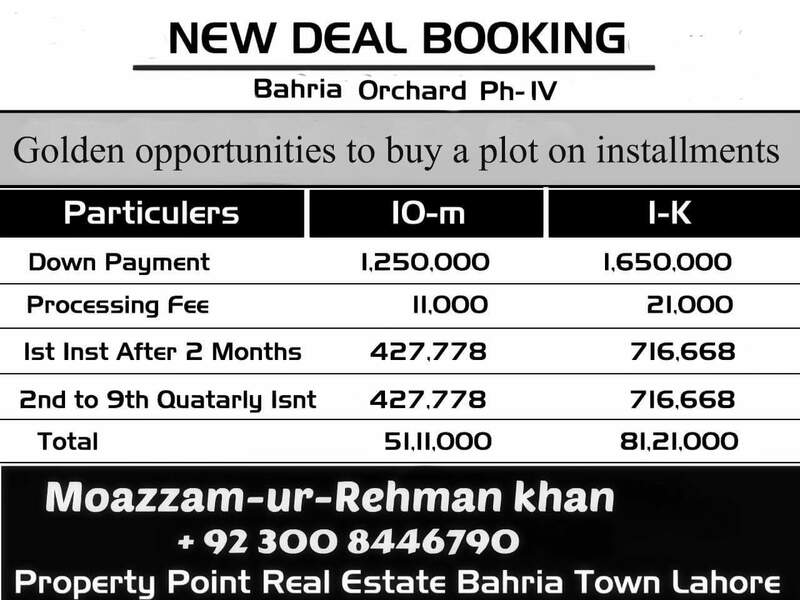 How to do see the future of 10 marla in Bahria orchard phase-4? 10 marla plot average rate in central block is 60 lac. I have plots available in central block, and other block too and very reasonable rates. Thank you very much for quick response. Yes sure I’ll get in touch with you. Possession has been announced in all blocks of LCO.A house is being constructed in C block and many maps have been approved also.Prices are starting to rise gradually day by day.A Best time to invest here now a days.Bahria started to develop off ground plots and also adjust off ground somewhere else,on ground plots.Apply possession and demand your plot.Surely, there will be a positive news for you. What is the average rate of 10 marla plot in Bahria Orchard central block? I want to buy. How much tax and transfer fee for non-filer? Sir do you have any idea when the Bahria Orchard possession will be. I have a plot in D block of LCO and applied for possession however got a reply that the plot is ‘underdeveloped’ and cannot be given out now. Also, I visit the premises often and have not seen any change in development of land throughout for the past few months. Brother go to them and fight with them. tjose who fights bahria gives them alternate onground plot. And if u cant fight and use rough language you have to wait the only option. Bahria has given a possession in G,H & J block so far. Rest of phase 2 possession is yet to given. No offical announcement so far. Hope they will give by mid of this year or earlier. The developed plot in D block as same as non-developed or off-ground regarding possession, Similarly in entire phase 2 execpt G,J & H.
@Usman bhai just to little update here. Bahria had announced posession in phase 2. One five marla home is also being constructed near bahria head office in C block. @Ahmed, my plot is also in D block and off ground. Keep calling them. I am also calling them again and again. Hopefully, they will develop it soon. I am hopeful about it as bahria has started development in C block. Lets hope for the best. BTW as far as i know, the prices has risen a little bit after announcement of posession. Phase IV land should be given to victims to Bahria Greens and Sector F.
I think beauty of any blog is both sides of picture should be shown. Similarly opposing arguments should be provided in respectful manner. There is no doubt bahria took money for civic commercial and bahria greens and both these projects just finished. Still many people are suffering sector F. Bahria does not have land for Sheikh Saadi block, 70% of Talha block and abu bakar block. Still map of Tariq bin ziyad and Aziz bhatti is not shown by bahria. Only people who protested for their sector F plots they are accommodated along with dealers who paid to Khurram Rajput under the table. Yes Usman bin Khalid provided the forum for people to protest and which lead to create the sector f group. Uptill now 3 groups are given sector f plots but remaining file owners are still suffering, who were not active and not in the group. Yes this orchard ph 4 land should have been given to greens and sector f people first before launching new phase 4. No development is done for the golf view plots due to ring road. On the other hand, installment plot buyers are always easily available in market. After release of this map it shows bahria has the needed land and kanal plots especially will go on own. Phase 4 is good for someone who doesn’t have full cash amount. If someone has full cash amount he should buy 10m in orchard phase 1 with no risk. CLICK on above link to see bahria orchard phase 4 map and update. What about Bahria Green? It also created a buzz, 3 years ago. Bahria doesn’t deliver. Yes, surely green valley was one the most dark project of bahria town. What is the current value of off-ground 10 marla and 1 kanal plots in Aziz Bhatti and Tariq Bin Ziyad blocks of Bahria Lahore? Any idea how long it may take to be on-ground? Is it good investment for a period of 1-2 years? Much obliged imran sb for your comment. I guess you had a plot in North block? Did you sell that? Thanks for your response. In fact I read the counter comment of Mr Imran and Mr Nawaz before they got deleted. If you ask my un-biased opinion it seems they responded because of the response provided by your self i.e.”What else you expect? Free plots?” this is not polite way to reply. If You are posting any message as blogger then better present the both sides of picture and leave it to public to decide. Let the people to decide which comments are dis-respect and abusive, such people will be filtered automatically by public. If you are right then people will take stand with you. Chill man and keep doing good things in life. thanks rajab sb for supporting my case… I will keep trying to inform people to save their hard earned money from the clutches of bahria town. I dont want anyone else to suffer like me. May be Allah will reward me for speaking the truth and exposing such frauds. i do apologize on the behalf of dear moazzam. WEll i am seeing a Good “Satta” in this new deal 🙂 which has already started. comments against the new deal offend the writer and he already deleted comments who have serious reservations. The comments were made in professional and respectful manner by public and every one have right to agree or dis-agree. Deleting the comments shows dis-respect to public opinion. If this is a case then no need to add comments option in blog just remove this option next time people will not come on this page and traffic is already very less on this page. Dear Muazzam, you are an esteemed blog writer. And while people blame Malik Riaz, it does not mean we are against you and we are not saying anything for you. It’s a normal reaction of people who were cheated by Bahria and they are still waiting for their plots. Deleting comments cannot stop them to raise their voice. We appreciate your articles since this is the only way we are updated on the property matters. Thanks. Are your comments deleted? Even though they are same as Mr. Nawaz. But he was disrespecting me and that is totally unacceptable. Do I told him to buy plot? He was just bringing out his frustration on me. Bahria town has delivered more than any other developer. Sector A to E and mostly F delivered. 1000s of people living in the world class community in Pakistan. What else you expect? Free plots? Bahria greens,so instead of giving plots of 10 Marla at price of 38lacks to green customers they are giving same plots at 51lacs,what else u call cheating,there is no law except Allah to punish this Malik riaz and and so called his helpers,common show people real face of Bahria management ,don’t just portray rosy pictures,hope that not offends u.